Today we're participating in a Dog Agility Blog Event where agility bloggers from across the universe come together several times a year to share their stories on a specific topic. Today's topic is Starting Your Puppy, the perfect topic for us since young Rocco is just 17 months old and about to start competing in agility! For those of you who don't already know us, Rocco is my second agility Havanese. 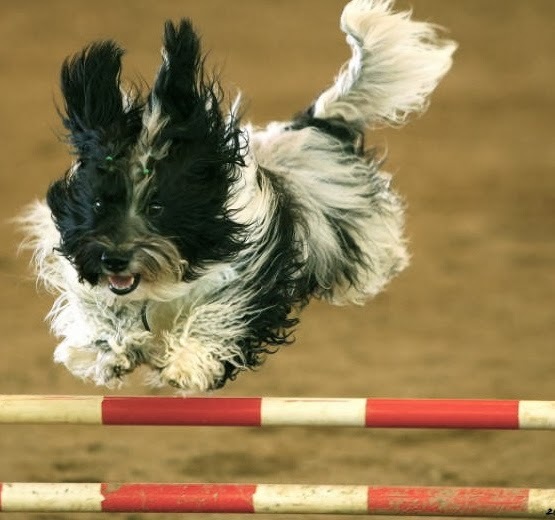 I started agility with my first Havanese Cosmo when we lived in a condo and Cosmo badly needed an outlet! We started agility just for fun, never intending to compete. But when Cosmo showed promise -- and I got hooked -- we decided to start training for competition. You can read a bit about Cosmo as an agility dog in the first time we participated in Agility Blog Action day. Sadly, shortly after that post Cosmo was diagnosed with lung cancer. Cosmo loved agility and he was a very special teammate for me, but I vowed to do a few things differently when training my second pup, Rocco, so we could enjoy it even more. This is only our second time participating in Agility Blog Action day, and the topic of Starting Your Puppy inspired us to jump back into this blog event. I'd like to share with you the things we're doing differently this time around. Good foundation training is key and has made all the difference for us this time around. In the past few years, I also became an agility instructor and the most common thing that I see is that folks want to rush to learn all the obstacles. Rocco started agility foundation classes when he was six months old, so it was a good six months before we started serious obstacle training. That allowed us to work on focus and our connection as a team as well as basic skills such as start line stays, going out away from me and establishing good contact criteria. Playing helped us establish a bond that has translated to agility. Playing included fetch and retrieve games, tugging, playing box games and crate games. I also simply ran around the backyard, changing directions so that Rocco would learn how fun it was to run with me and turn left and right! We also used our Fit Paws equipment to play games. Rocco and I train on agility fields in various places and you can also take a practice jump to a park to help get your pup ready for competition distractions. Early on, I also took Rocco to a few trials so he could get used to the environment. Reinforcing basic skills like sit and down while you're shopping at your favorite pet store also helps train for distractions! weeks ago. The results weren't too shabby either! USDAA now offers an Intro Program, a great way to introduce your pup to the stimulation of an agility trial. You can read about our first experience at the Intro Agility Trial we attended a few weeks ago! You can enter your pup as young as 14 months old, so it's a great way to find out where your pup is at and what you need to work on. Rocco and I are looking forward to competing at our first trial in the next few months, and I think we started out on the right paw this time. I learned so much from my first agility dog, Cosmo, and the learning never stops! That's one of the things that continues to make agility fun and challenging for us! Thanks to Steve at Agility Nerd for hosting this Dog Agility Blog Event today. Check out more great articles on Starting Your Puppy from the rest of the talented bloggers in this event! Great post! 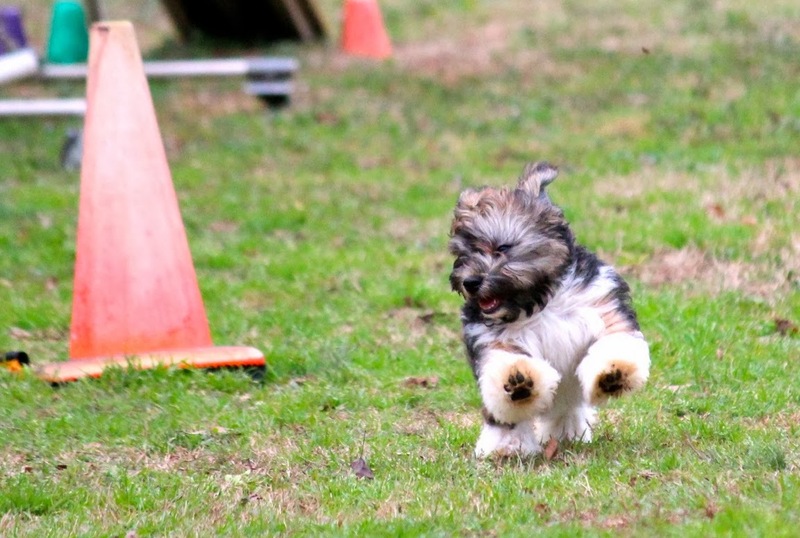 Havanese are great little agility dogs! Thank you! 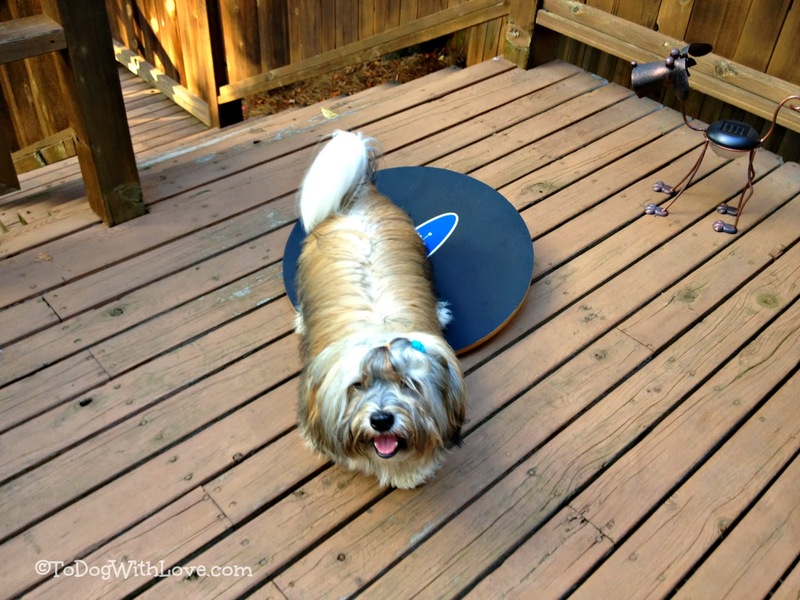 I adore Havanese… so much fun to play with! These are excellent tips! I hope more clubs in my area start offering Intro trials - I think they are one of the best ideas USDAA has ever had. Thank you! The intro trial was the BEST! I was so glad we had the chance to do it and it came just at the right time for us. Great tips - foundation is so important, even though everyone is just itching to get to some equipment. We dont need to be in a big hurry to do it all! It's so tempting to hurry, but so important to remember to take your time and NOT compare to other dogs! I love the puppy picture of Rocco! I would like to do agility, and feel that if Faolan had better manners and obedience, that he could excel at it. Like one of the bloggers said today, just do it! 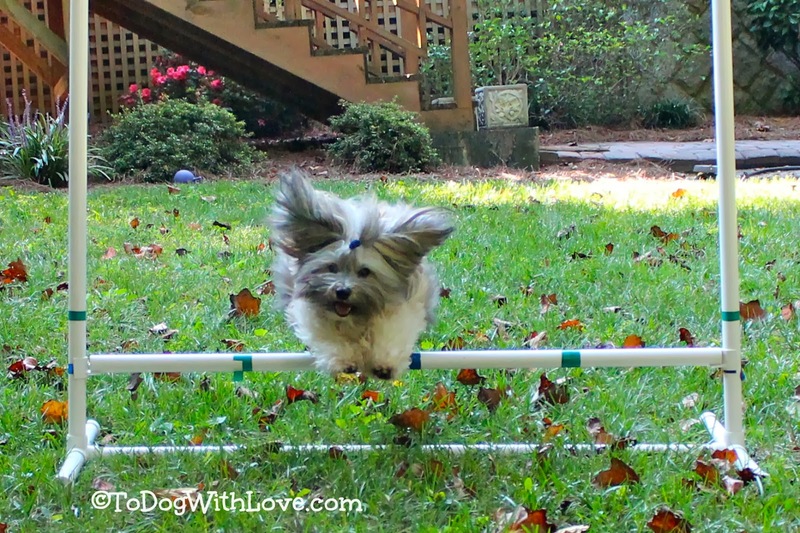 Agility is so much fun and it would be fun to see how your pup does. You can always work on the manners and basic obedience! Those are great tips and we are sure all who partake have fun as that has got to be the most important thing. Have a tremendous Thursday. You've got that right! Fun is #1! I took a beginner agility class a few years ago because mom thought I would enjoy it. Something to consider is not the dog but the parent. Although I may have been good, it wasn't for mom, she doesn't have the patience for it and felt that we took the class for fun and just to try it, where as the class seemed to feel it was a step to competing. Great ideas about training your pup! I especially like the use of Crate games, and Fitpaws work, I do these myself and they are very valuable. Great tips. It was close having Bailie go into agility, but Mom decided to use her nose instead. She has a super keen sense of smell even for a scent hound. Oh my! that first pic of Rocco loving agility is so darling! Makes the heart sing. Thank you! Awesome post! With these tips, I can now easily train my dog ! I will definitely save these reminders and I will also share this to my friends and relatives who have pets. Please keep on updating this one. Thanks!